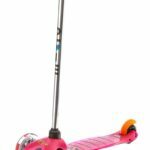 Home » Blog » Why You Choose “Electric Scooter only” For Your Kids? Why You Choose “Electric Scooter only” For Your Kids? Scooters are the most fun ride for kids. Nowadays, it becomes one of the most popular transports for kids and teenagers. And if you don’t believe me, just throw a glance at the porch of schools, you will understand the craze of scooters in children. However, there has been a recent product came in the market, “Electric Scooter.” Are you amazed? Don’t be! An electric scooter is simple kick scooters that have a battery-run motor. 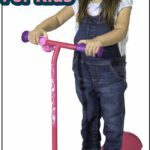 It is an incredible time passing ride for kids and comfortable in many ways. I know some questions are peeping in your mind. *You may think how a scooter can be electric? *What about the power supply? *Security measurements and lots more! Well, it is an amazing scooter with a battery run motor. Your child may be a porosity loving lad. It is not bad at all, and therefore, he always keeps himself drowned in video games and gets fat day by day! But if your kid gets an electric scooter, he will surely get out for discovering the area he’s living in! Here’s the magic will begin. He’ll go outside, meet new guys, see new places and in some days, he’ll surely get to start to play with other kids at the playground. Do you ask more? It is not only a fun transport but also a fantastic time-saving transport. Electric scooters are lightweight, and you can easily fold it and carry it. Some have been holding straps for carrying it. It is easy to drive, so your kid can easily ride on it. When your child has an important presentation at school, and he woke up late, an electric scooter can take him to school as fast as nothing can do. Electric scooters are safe and give kids speed. Kids love speed, and that’s why they love electric scooters. Kids can fold them easily, and they are lightweight. You don’t need to worry about the safety because there are lots of safety options to win you over! Electric scooter lets your kid discover and save the time of sitting in jam-packed roads. Nowadays, roads are often jam packed, and you can’t ignore it, what you may do! But an electric scooter is smaller in size and runs on walkways, so jams can’t trap scooters. It is safe for 8 years-old kids to late teenagers. Everyone can ride it with fun. Electric scooters have some safety measures that help your kid to prevent any kind of accidents or mishaps. Every electric scooter has handbrakes. Some of them has the rear foot-pressing brake, bigger wheels to get the highest traction’s. Electric scooters have padded foot decks and handles, which gives your kid to get full comfort while riding it. They come grips at foot decks and in different places that let you be in one position and drive with fun. Sometimes your kid may go to off-road riding, never let him do that, because companies don’t make every scooter for off-road riding, it may cause fatality in some cases. And, though there are several security initiatives never let your kid ride without safety gears. Happy scooting buddy!